Chinese smartphone maker Xiaomi has announced a new budget smartphone and a tablet, called the Redmi 6 Pro and Mi Pad 4 in China. The devices have been in the news for some time now after they were leaked, revealing their design and specifications. The Mi Pad 4 is the successor to the popular Mi Pad 3 that was launched in China in April last year. The Redmi 6 Pro is the first Redmi device to feature a notch and we may see more Redmi devices being launched with a notch in the future. The Mi Pad 4 has been launched in WiFi and WiFi + LTE variants and will go on sale in China from June 27, starting from CNY 1,099 for the WiFi variant and CNY 1,499 for the LTE variant. The Redmi 6 Pro will be available starting at CNY 999 starting from June 26. The Xiaomi Redmi 6 Pro runs on Android 8.1 Oreo with MIUI 9 skinned on top and features a 5.84-inch full HD+ 2.5D curved glass display with a resolution of 2280 x 1080 pixels and an aspect ratio of 19:9. The device has a notch at the top for the front camera and sensors. In terms of performance, the Xiaomi Redmi 6 Pro is powered by an octa core Qualcomm Snapdragon 625 SoC coupled with a Adreno 506 GPU. In terms of memory, the device has been launched in three variants – 3GB RAM + 32GB internal storage, 4GB RAM + 32GB internal storage and 4GB RAM + 64GB internal storage. Coming to the camera department, the Redmi 6 Pro features a dual camera setup at the back consisting of a 12MP Sony IMX486 sensor with 1.25um pixel size, f/2.2 aperture, phase detection autofocus, LED flash and a secondary 5MP Samsung S5K5E8 sensor with f/2.2 aperture and 1.12um pixel size. On the front, it sports a 5MP selfie camera. It is powered by a 4,000mAh battery and connectivity options on the device include 4G VoLTE, Wi-Fi 802.11 a/b/g/n, Bluetooth 4.2, GPS, 3.5mm audio jack and an Infrared sensor. The Xiaomi Mi Pad 4 also runs on Android 8.1 Oreo with MIUI 9 skinned on top. It features an 8-inch full HD+ display with a resolution of 1920 x 1200 pixels and an aspect ratio of 16:10. In terms of performance, the Mi Pad 4 is powered by an octa core Qualcomm Snapdragon 660 SoC coupled with Adreno 512 GPU. In terms of memory, the device will be available in two variants – 3GB RAM + 32GB internal storage and 4GB RAM + 64GB internal storage. Coming to the camera department, the Mi Pad 4 features a single 13MP primary camera with OV13855 sensor and f/2.0 aperture. On the front, it sports a 5MP selfie camera with Samsung S5K5E8 sensor and f/2.0 aperture. 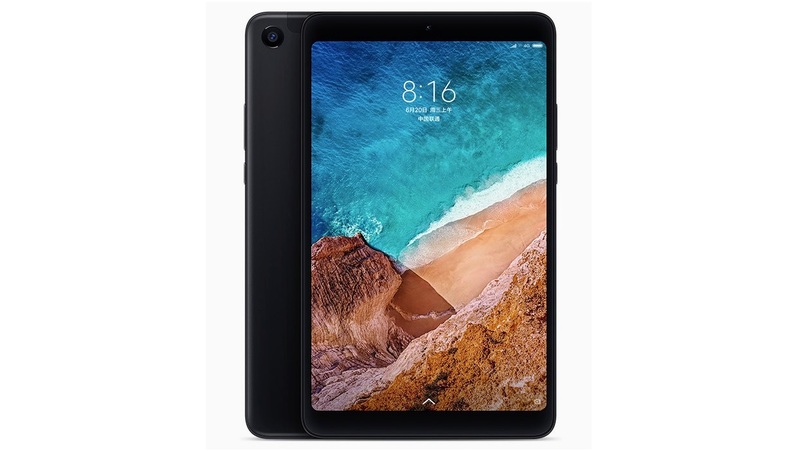 The Mi Pad 4 is powered by a 6,000mAh battery and connectivity options on the device include 4G LTE, WiFi 802.11 ac, Bluetooth 5.0, GPS, 3.5mm audio jack and a USB Type – C port. 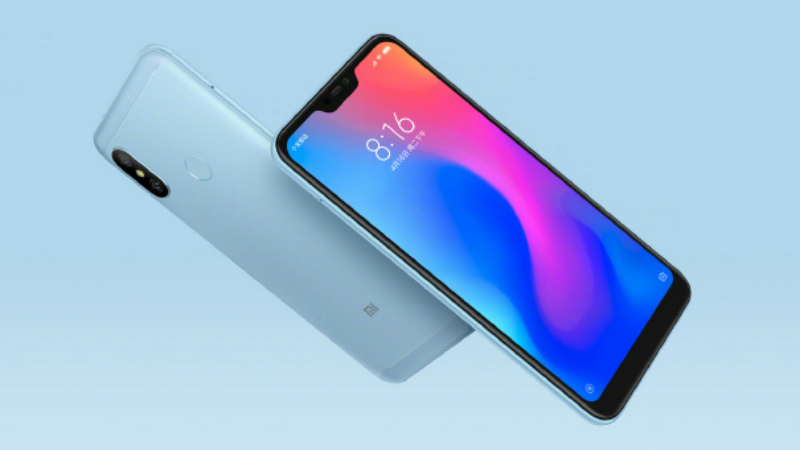 The Redmi 6 Pro is priced at CNY 999 for the 3GB RAM variant, CNY 1,199 for the 4GB RAM + 32GB storage variant and CNY 1,299 for the 4GB RAM + 64GB storage variant. It will be available in China starting from June 26 in Rose Gold, Gold, Blue, Black and Red colors. The Mi Pad 4 has been priced at CNY 1,099 for the 3GB RAM variant, CNY 1,399 for the 4GB RAM variant and the LTE variant has been priced at CNY 1,499.